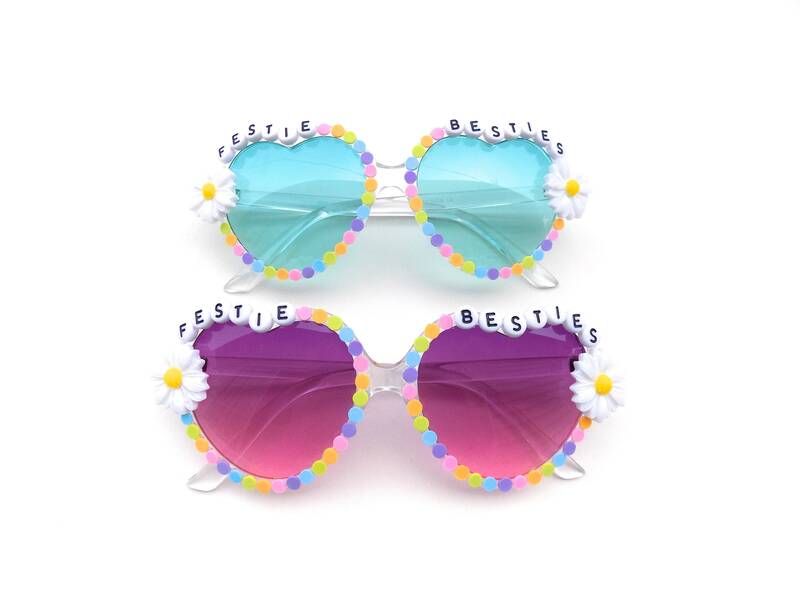 One for you, and one for your festie bestie! 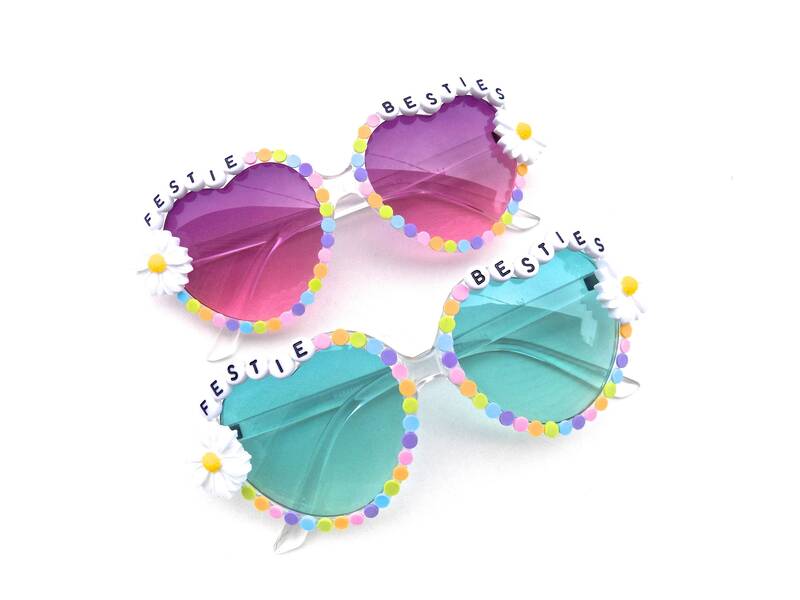 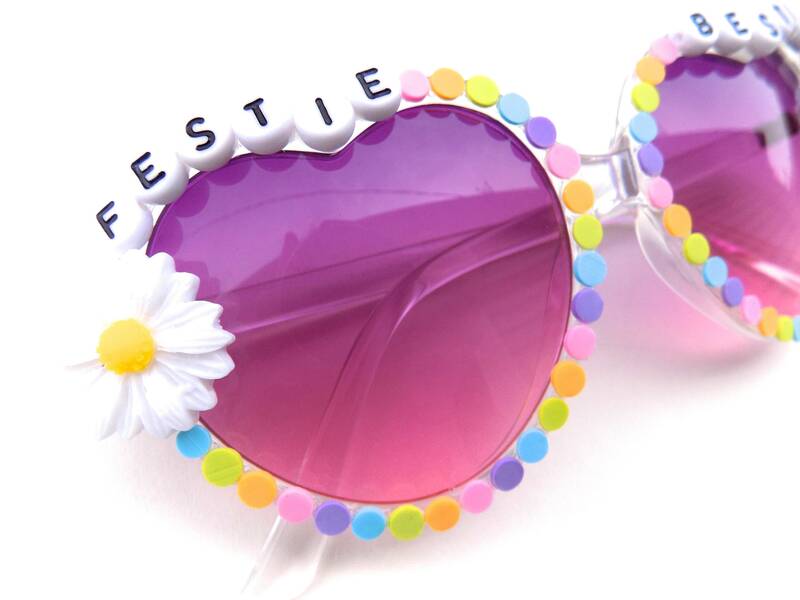 These adorable heart-shaped glasses have been decorated with the words "FESTIE BESTIES" and white daisies on each side. 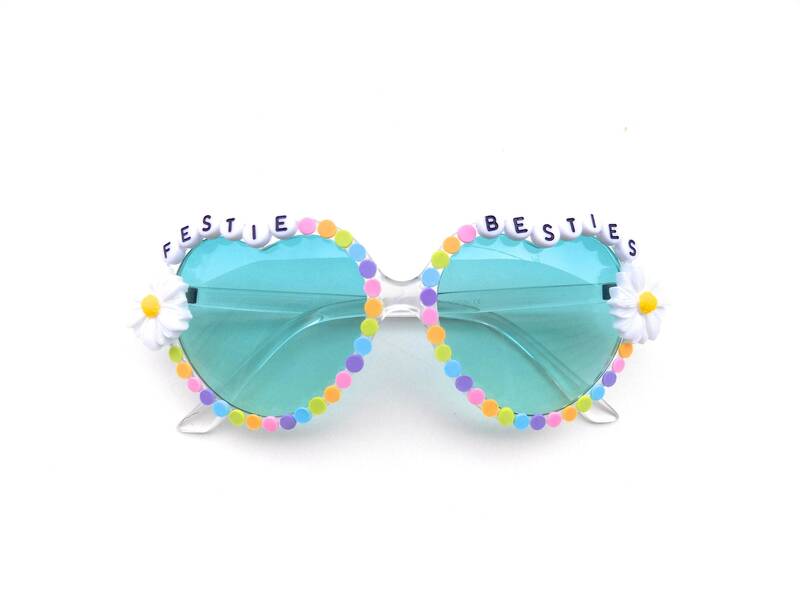 The rims of the glasses are adorned with colorful candy dots. 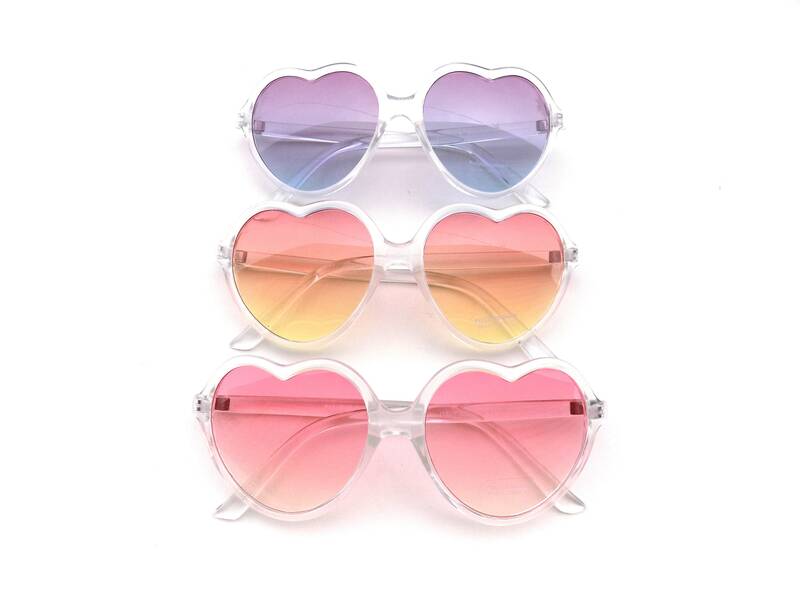 Your choice of lens color: purple/pink gradient, teal, purple/blue gradient, orange gradient, or pink gradient. 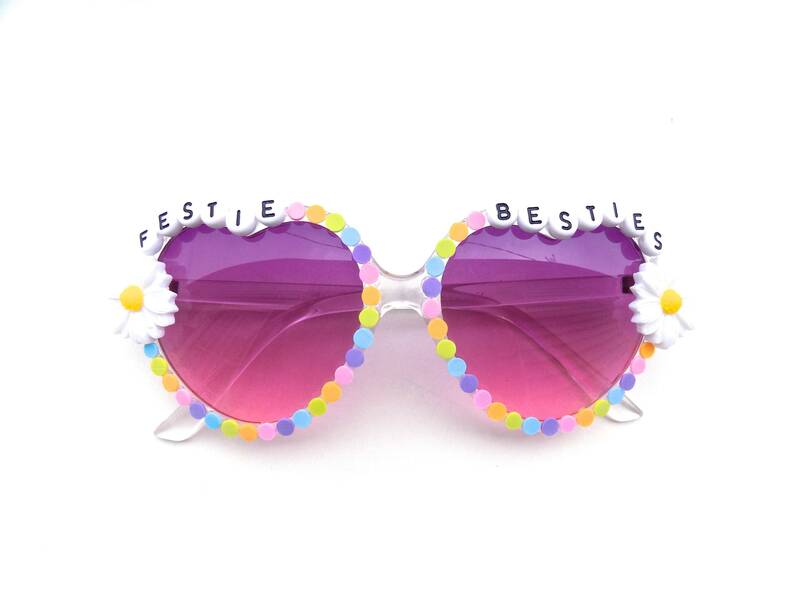 These glasses have very light tinted lenses and are best for cloudy days and nighttime (the lenses do have 100% UV protection, but you'll be squinting).